This amazing resource provides real-time data being collected from several different nodes on the seafloor off the west coast of Vancouver Island and the Strait of Juan de Fuca. Fourteen-year-old Kirill Dudko watches the live streams of video cameras placed at the sea floor at NEPTUNE Canada’s nodes. He snaps up portions of the videos, broadcast for the first 15 minutes of the hour, on his Youtube channel (which I believe is this one, but I cannot be certain). In one of the videos he captured, a female elephant seal slurped up a hagfish in view of the camera, providing the deepest video record of an elephant seal feeding. All of this he did from his home in Ukraine. It doesn’t matter where you are, or how far you are from the ocean, there are ways to get involved and get a look at the deep sea! What wonders will you find? Check out all of NEPTUNE Canada’s live streams and watch what’s going on on the seafloor! You can even see the WallyCam, mounted on a rover that explores the seafloor, not unlike the Curiosity rover that is exploring Mars. Maybe you’ll spot a squid, or a whale, or a sponge (hint: check out the Folger Pinnacle cam). Figure 1. Hourly averages for ice thickness and water salinity. Location: Cambridge Bay, Cambridge Bay Dock station (69.114 N, 105.060 W, water depth 6 m). Data source: NEPTUNE Canada (accessed Nov 2012 at http://www.neptunecanada.com). 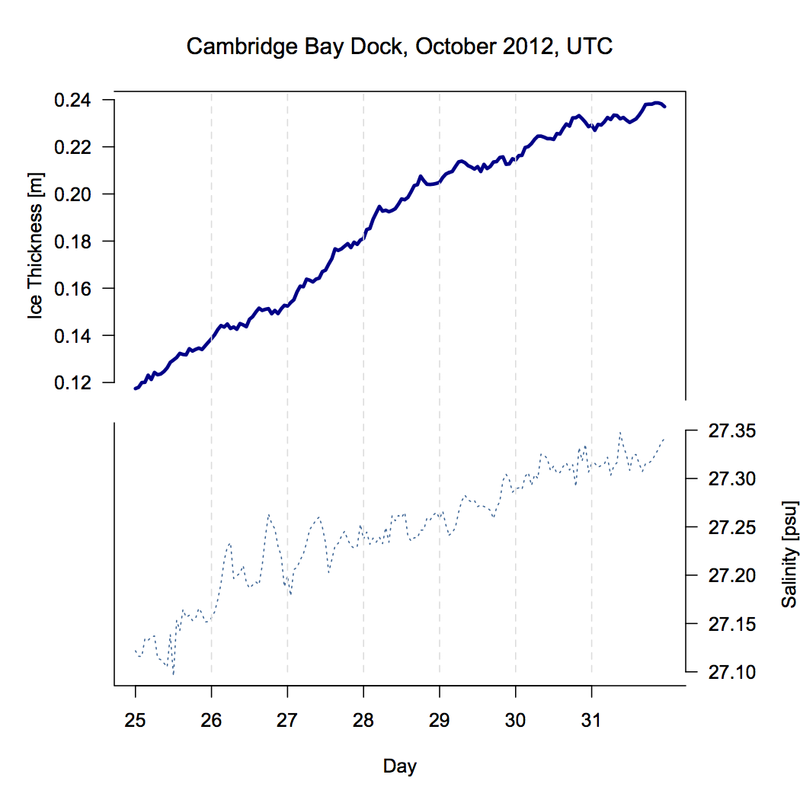 Graph plotted with R.
Hourly averages for Oct 25, UTC. Hydrophone data of orcas, humpback whales and Pacific white-sided dolphin vocalizations can be accessed from www.neptunecanada.com/news/sound-gallery/ or venus.uvic.ca/multimedia-features/hydrophone-highlights/whale-sounds/ . Orcas. Photo Credit: Francine Mercier, Parks Canada (accessed from: http://www.dfo-mpo.gc.ca/oceans/publications/fedmpa-zpmfed/page01-eng.asp ). 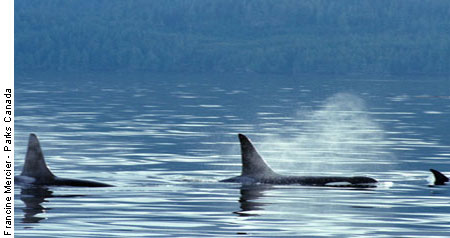 The Strait of Georgia is one of the busiest waterways for shipping vessels in Canada and the impacts on killer whales from the underwater noise pollution are of major concern. Hydrophones (underwater microphones) installed in Folger Passage and the Strait of Georgia, part of the NEPTUNE Canada and VENUS networks, record vocalizations produced by cetaceans. These hydrophone recordings include the songs of transient and resident killer whale pods, humpback whales, fin whales and Pacific white-sided dolphins. 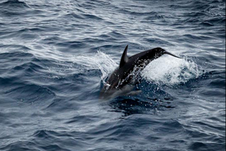 The recordings provide scientists with important information about behavior, seasonal migrations, and population shifts (NEPTUNE Canada, 2012). Cetaceans are highly dependent on acoustics as a means of social communication and finding food (echolocation). This is because light can only travel short distances, ~5–20 meters in the water, whereas sound can travel an astonishing 1000 km (VENUS, 2012)! Therefore, the increase in background noise produced by overpassing shipping vessels is a major concern. Possible impacts to whales from underwater noise exposure include disturbance and masking of important sounds and hearing damage (Cato et al, 2004). Different cetaceans produce a wide range of unique songs which can be heard with hydrophone recordings. Sounds can be described as whistles, clicks, groans, moans, squeaks and even barks (Seaworld, 2012). For example, dolphins generally sound chatty and produce clicking noises, whereas fin whales have low frequency calls (NEPTUNE Canada, 2012). Songs can also vary between different whale populations depending on which ocean basin they live in (Cato et al, 2000). NEPTUNE Canada (2012). NEPTUNE Canada: An Invitation to Science. Victoria, B.C: University of Victoria. Noad, M.J., Cato, D. H., Bryden, M.M. , Jenner, M-N. and Jenner, K.C.S. 2000. Cultural revolution in whale songs. Nature 408 (6812): 537. Killer Whales. www.seaworld.org/animal-info/info-books/killer-whale/communication.htm. (Accessed Nov 14, 2012). Deep sea hydrothermal vents can be more than 2000 meters below the ocean surface! However, with NEPTUNE Canada’s SeaTube Pro you can view great video clips of the Grotto and Mothra hydrothermal vent fields that are positioned along the Endeavour Mid-ocean Ridge, located next door in the Pacific Ocean. These vents produce superheated black plumes (~350 °C) of seawater rich in dissolved minerals such as sulfur, iron, zinc and copper. Once the hot effluent comes in contact with the cold sea water minerals precipitate and form tall chimneys (NEPTUNE Canada, 2012). Black smoker observed at the Grotto hydrothermal Vent in the Endeavour Ridge rift valley. Photo credit – Flickr: Neptune Canada (Accessed October 12, 2012). 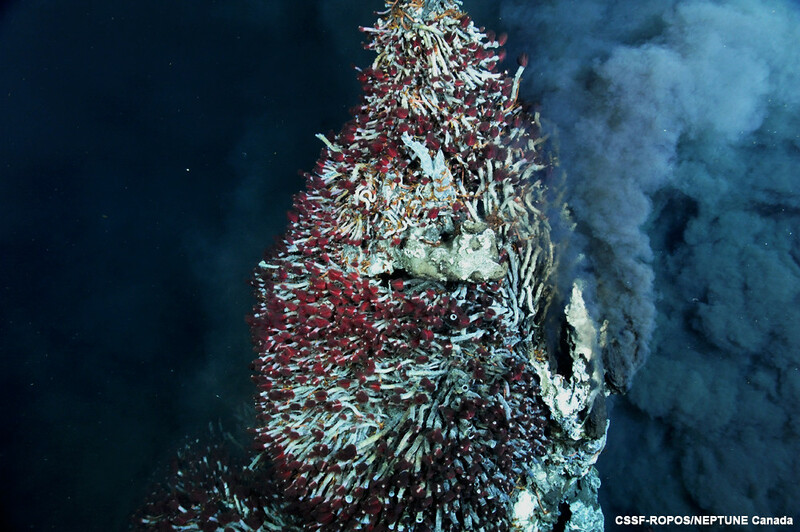 Hydrothermal vents are also great environments to view fascinating deep sea biology. Lush communities of tubeworms, limpets and scale worms are some of the amazing organisms that you can view with NEPTUNE Canada’s SeaTube. What is really quite fascinating about these organisms is that they acquire nutrients from symbiotic chemosynthetic bacteria which thrive on inorganic molecules provided by the plume. In return, host organisms are preyed upon by vent predators including crabs. Vents are biological hotspots with local biomass exceeding the normal biomass observed for other deep sea regions by a factor of 500 – 1,000 (Tunnicliffe, 1992)! 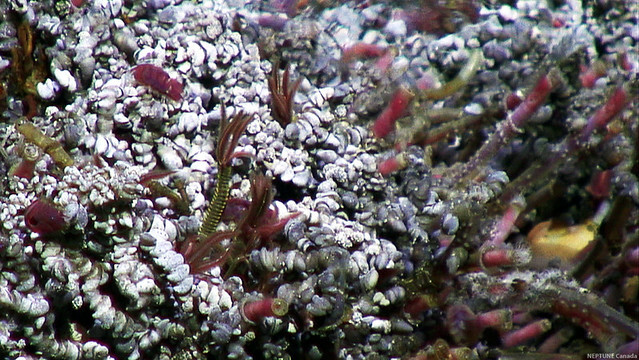 A dense cluster of tubeworms (Ridgeia piscesae), scale worms (Branchinotogluma tunnicliffae) and limpets forms a hot vent community at the Grotto hydrothermal vents (Depth: 2189 m). Photo Credit – Flickr: Neptune Canada (Accessed October 12, 2012). Tubeworms and spider crabs at the Endeavour segment of the Juan de Fuca Ridge. Photo Credit – NEPTUNE Canada SeaTube Pro (Accessed October 12, 2012). In my opinion, the most extraordinary of the vent organisms are the Ridgeia piscesae (tubeworms). These tubeworms have bright red gill plumes filled with hemoglobin rich blood to absorb oxygen and hydrogen sulfide from the ambient seawater. The harvested oxygen and hydrogen sulfide gases are transferred to chemosynthetic bacteria located in the tubeworms trophosome – a specialized body part within the coelomic cavity. The bacteria oxidize the hydrogen sulfide gas, releasing chemical energy used to synthesize organic matter (NEPTUNE Canada, 2012). Together the bacteria and tubeworms have a symbiotic relationship – the tubeworms provide the bacteria with a home, and in return the bacteria provide the tubeworms with food. Black smoker chimney covered with tubeworms (Ridgeia piscesae) photographed at Endeavour segment of the Juan de Fuca Ridge. (Depth: 2130 m). Photo Credit: Flickr: Neptune Canada (Accessed October 12, 2012). To view vent features on the ocean floor, real time video data can be accessed from http://www.neptunecanada.com/. Before accessing the video data you will need to set up your own user account. To do so, first click on the “Data & Tools” tab located on the top bar. Once you have opened the “Data & Tools” tab, click on the “open an account” link highlighted in orange located underneath the heading “Oceans 2.0 Tools”. You will now be able to fill in information to create an account. Once you have created your account click again on the “Data & Tools” tab. Within this tab you will find a link titled “SeaTube”. Click on the link. Now that you have accessed NEPTUNE Canada SeaTube Pro, click on the “Search All Dive Videos” link located in the top right corner of the screen. A “Dive Viewer Search” window will now appear on your screen. You are now able to type in a keyword describing a seafloor feature that you would like to view. Some recommended keywords to view great video clips for hydrothermal vents are “black smoker”, “white smoker” and “tubeworms”. However, feel free to explore other sea-floor features! Once all searches have appeared in the “Dive Viewer Search” window, click on a dive which appeals most to you. Once you have clicked on this dive, the video clip will automatically begin to play. In the top right hand corner of the video there are links which enable you to record video clips and add personal video annotations of what you see. You are then able to save these video clips to your playlist, located in the top left corner next to the “video” tab. NEPTUNE Canada, 2012. NEPTUNE Canada: An Invitation to Science. Victoria, BC: University of Victoria. Tunnicliffe, V., 1992. 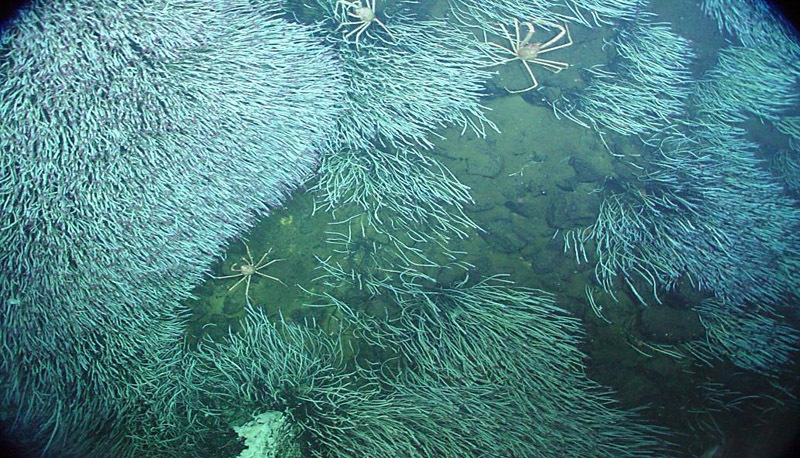 Hydrothermal-Vent Communities of the Deep-Sea. American Scientist. 80 (4). Pages: 336-349. 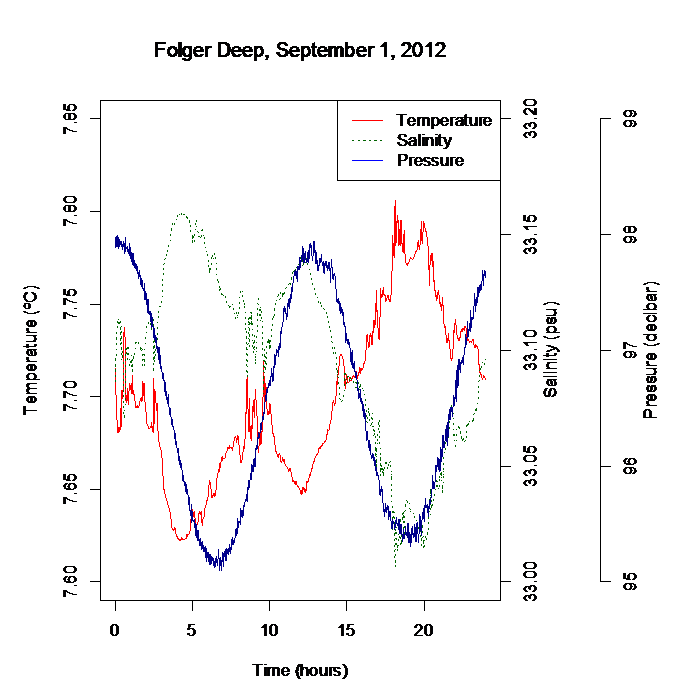 1.9 Set “Date From (UTC)” to September 1, 2012, 00:00:00. 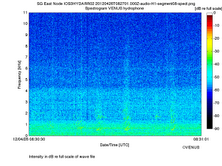 1.10 Set “Date To (UTC)” to September 2, 2012, 00:00:00. 2.3 If you are on a Mac, browse for the “NEPTUNE data” folder, click on it, and click on “Open”; if you are on a PC browse for the “NEPTUNE data” folder, click on it, and click on “OK”. 2.7 Type “names(data) <- c(“time”, “pressure”)”.